The Pozzis are a 5th generation wine producing family. Villa Pozzi is located in Sicily where winegrowing dates back to 1500 BC. Sicily is Italy’s largest wine producing region in both acreage and production. All grapes for Villa Pozzi are grown in Sicily. Originally constructed in 1860, Villa Pozzi’s modern winery was completely rebuilt in 2000. The line is comprised of six popular varietals: Pinot Grigio, Nero d’Avola (indigenous Sicilian grape), Moscato, Merlot, Cabernet Sauvignon, and Grillo (indigenous Sicilian grape). 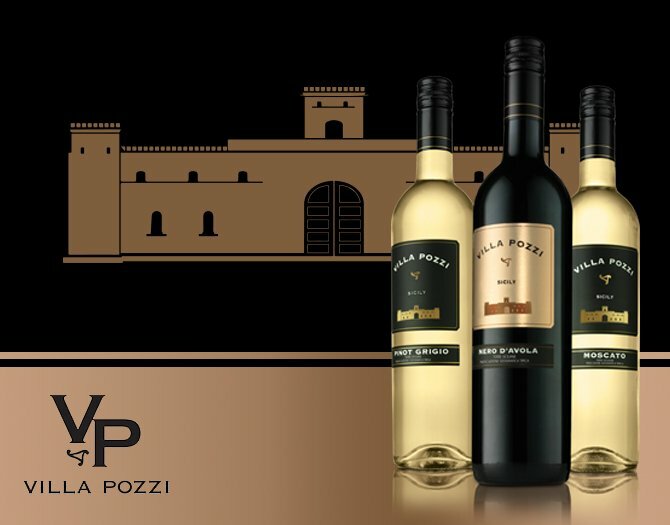 Villa Pozzi’s wines are made to be enjoyed upon release and have a ripe, fruit-forward style. Each wine has a good aromatic profile, balanced flavors, nice varietal character and a lingering finish. Highest quality for value, Villa Pozzi appeals to the price conscious consumer in the cluttered Italian category.